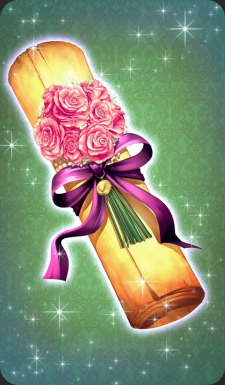 Valentine's return gift from Shakespeare. A joyful sonnet that sings his Master's praises. Shakespeare has also signed the poem. Should its author be known to be the real Shakespeare, this manuscript would be worth millions. That, however, doesn't really change how you think of it, and it's just an embarrassing gift.